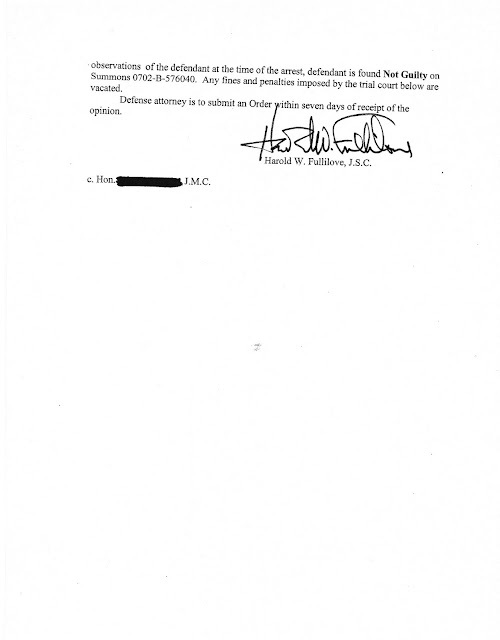 The State claimed a blood alcohol concentration of .25% through a direct blood draw (as opposed to a breath reading). 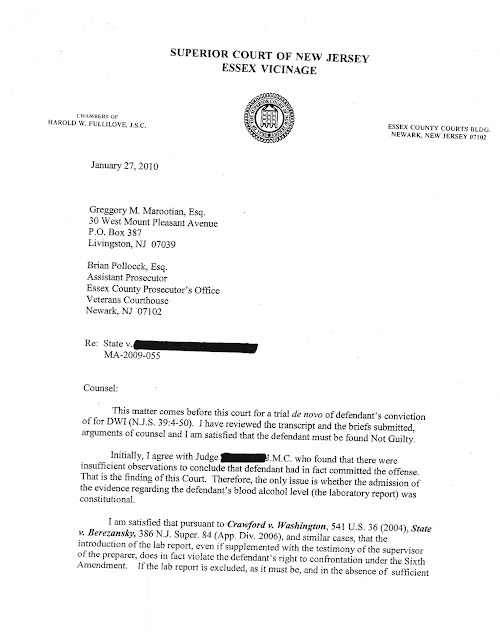 The laboratory technician who analyzed my client’s blood was not called as a witness by the State (she was not available). I argued that based on the prevailing law, the certified laboratory result (purporting to show her blood alcohol concentration) was therefore inadmissible “hearsay.” (For a general definition of hearsay, see: http://en.wikipedia.org/wiki/Hearsay) The Municipal Court rejected that argument, and over my strenuous objection, admitted the laboratory certificate into evidence. My client appealed. In January of this year, I appeared before the Honorable Harold W. Fullilove in the Essex County Superior Court in Newark for the appeal hearing. 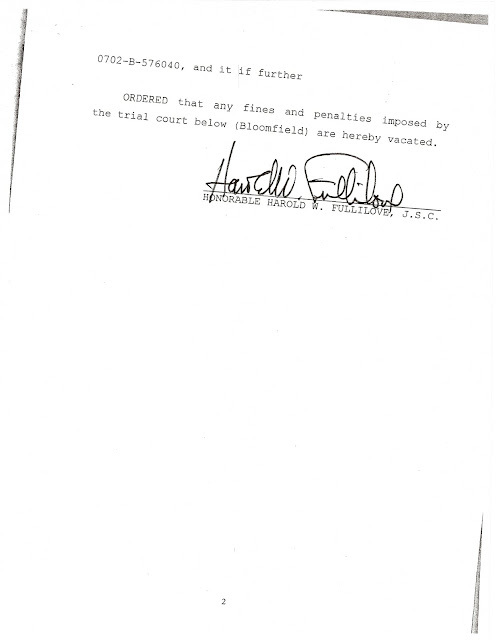 Judge Fullilove reversed the ruling of the Municipal Court, and entered a Not Guilty finding to the DWI. 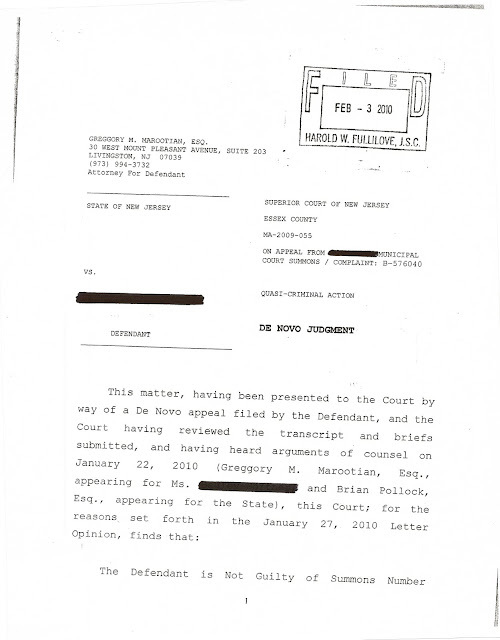 The Court’s Letter Opinion and Order are attached. I have, out of respect and decorum, omitted the Municipal Court and the Judge.